Here he comes with his weird face, dealing goods and gear for Guardians. It’s Friday. 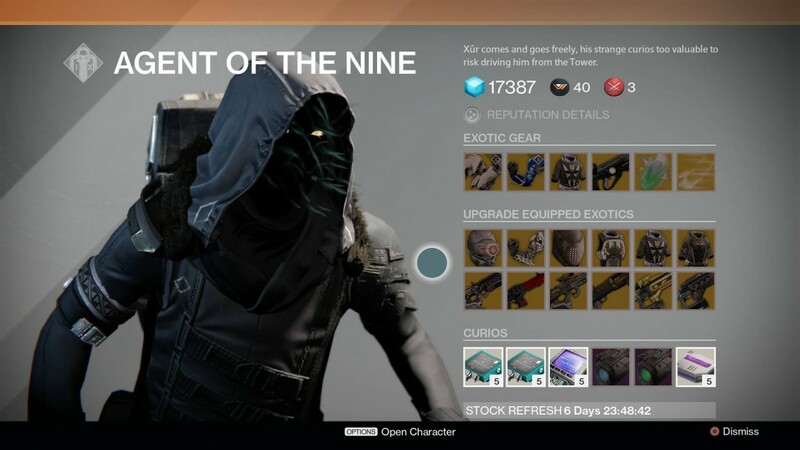 Xur: Agent of the Nine is back in the Tower. Of Course he is. Got your Strange Coins? ARMOUR – Knucklehead Radar, Young Ahamkara’s Spine, An Insurmountable Skullfork, Crest of Alpha Lupi, Heart of the Praxic Fire, Voidfang Vestments. WEAPONS – Bad Juju, Red Death, Mida Multi-tool, Invective, Plan C, Pocket Infinity.